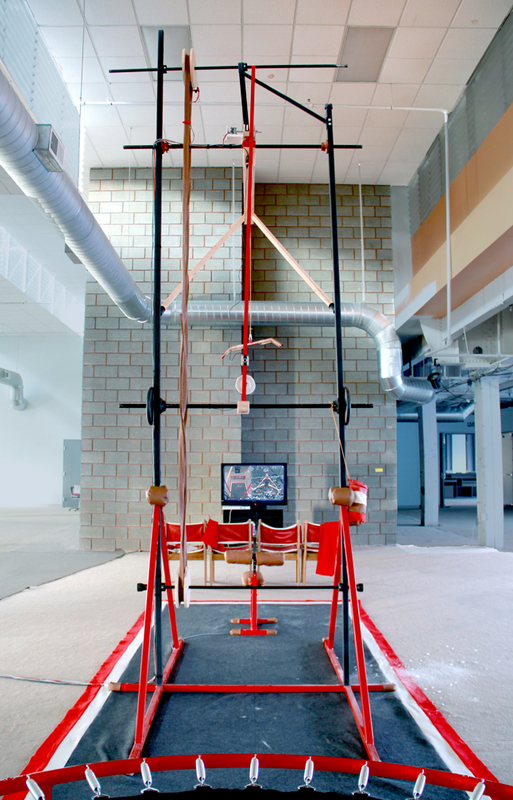 The GymCam is a combination electronic-kinetic tripod and home gym. 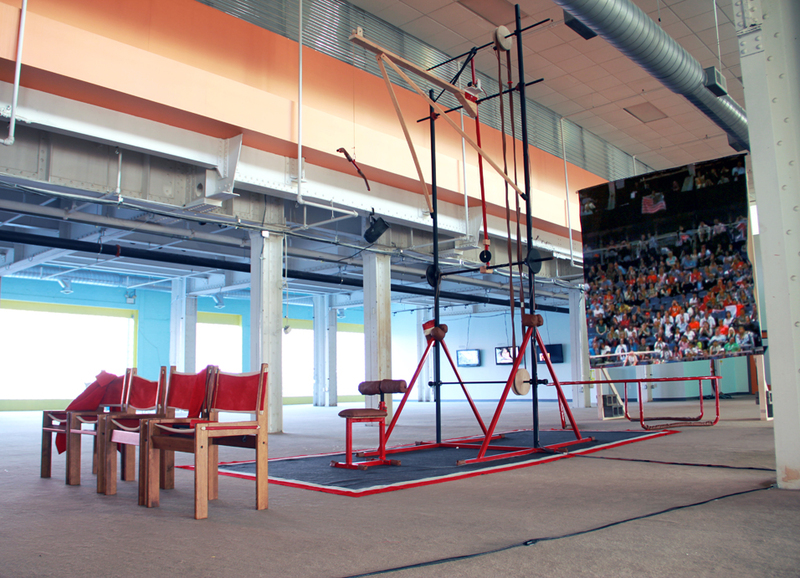 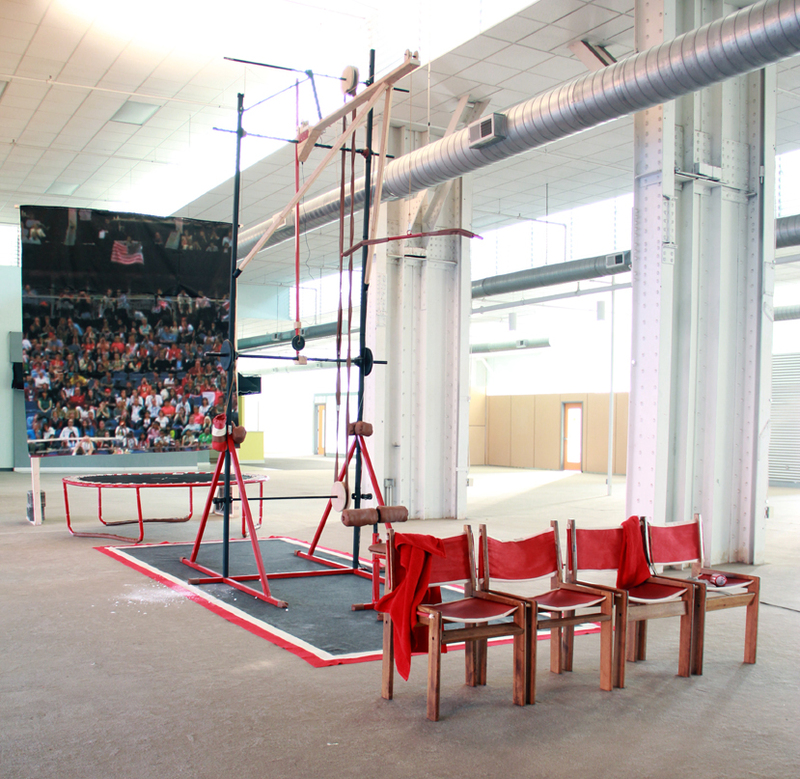 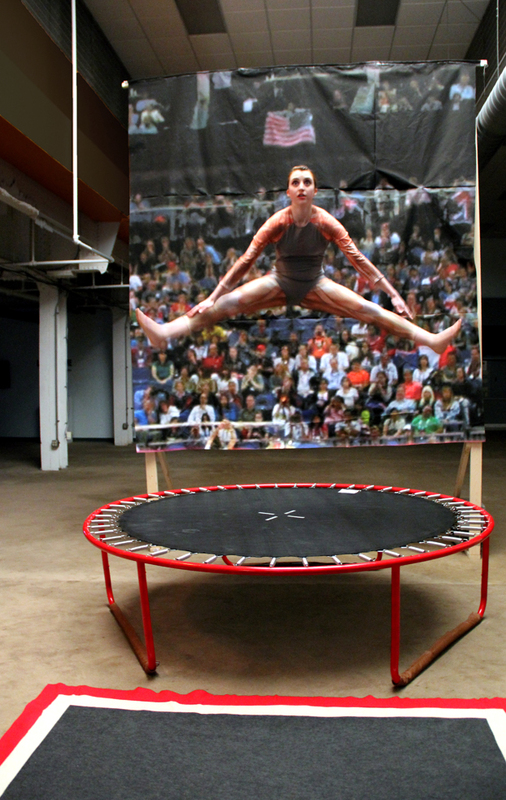 Doubling as a workout game and a device for capturing the levitating amateur athlete, the GymCam creates a repetitive circuit of motion that appears to use the leverage of a human body to make images. 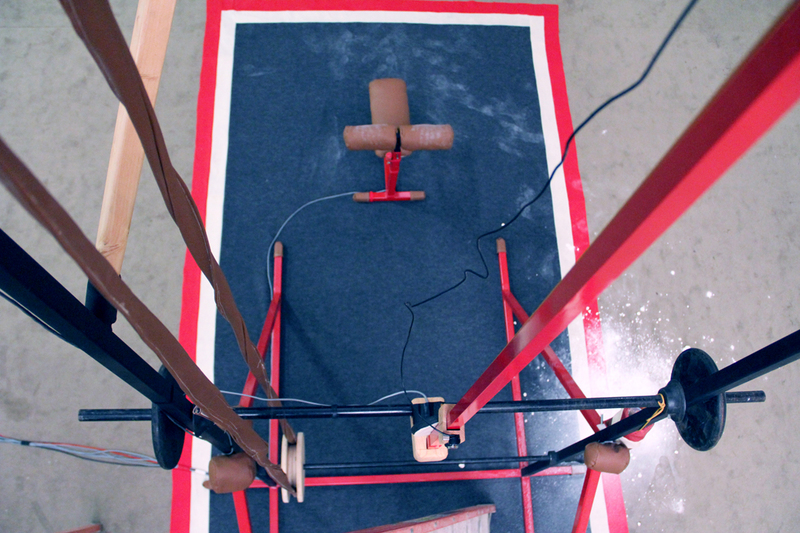 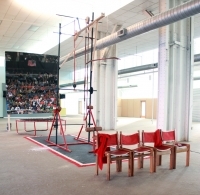 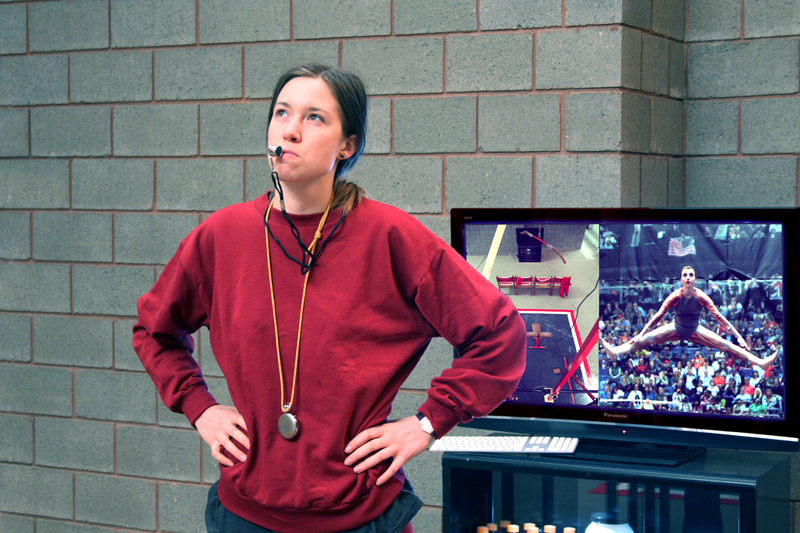 Using a variety of materials, including cameras, a motor, custom software, a monitor, a human body, and handsewn muscle suit, this system of hard- and soft- ware reinterprets recent trends in sports-photography, complicating a relationship between athletic innovation and technological progress. 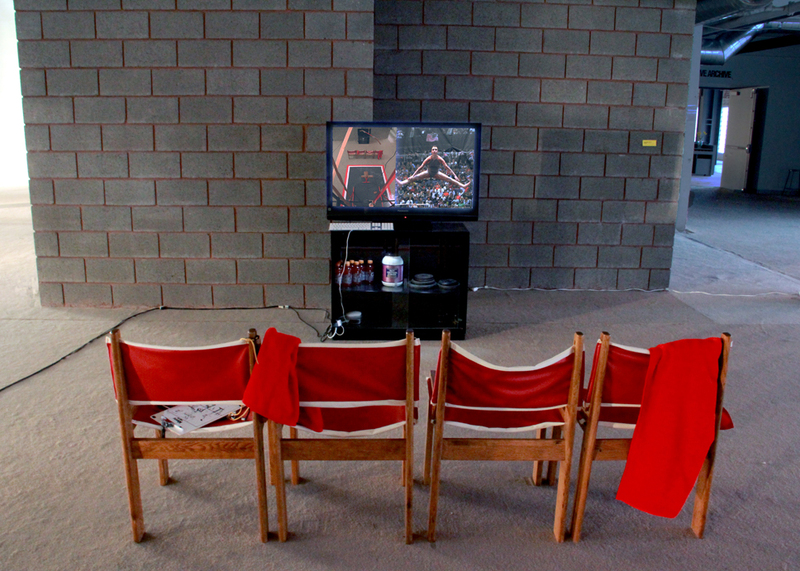 To view a bit of documentation from the opening night of the performance (for LIVE ARCHIVE @ The Crucible Building, Pittsburgh, PA), check this out.